Did you know that there are gnomes living in the Mossom Creek watershed? Home » Did you know that there are gnomes living in the Mossom Creek watershed? Did you know that there are gnomes living in the Mossom Creek watershed? Gnome plants that is (Hemitomes congestum). These rare and unusual plants don’t photosynthesize. Instead they get their nourishment through a process called mycoheterotrophy – they extract sugars from the fungus associated with tree roots (mycorrhizae), in this case, probably Western Hemlock (Tsuga heterophylla). The photo shows gnome plants at full flower (on the right) and “spent” flowers (on the left). The tiny hemlock cone just above them and the hemlock needles give a sense of their size (~ 2 cm high). You have to look very carefully to spot these gnomes. 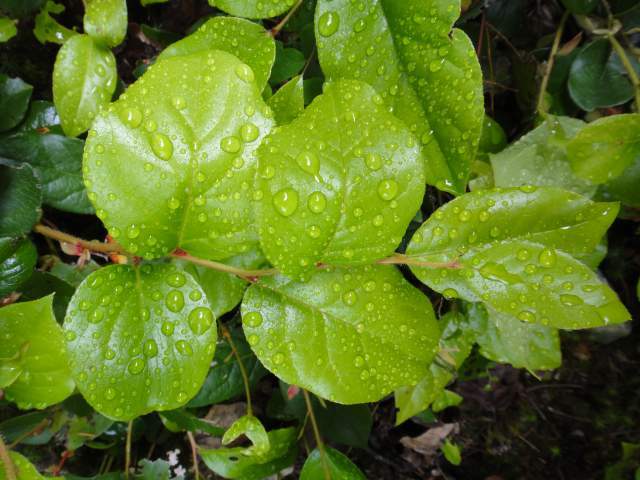 Look for them from mid June to late July in forested areas with a salal (Gaultheria shallon) understory and moss groundcover. Thank you to Mossom Creek volunteer and Mossom Creek-side resident, Coleen Hackinen, for this delightful and interesting article.